Central air conditioners in the 13-15 SEER range are a good choice for moderate to cool climates where very high efficiency isn’t as vital. You will spend less in equipment costs for a unit in this range versus a 16-20 SEER model. That’s what makes the Ducane 4AC14 air conditioner a popular choice in places like Kensington, Connecticut where Garrett recently had one installed. He took a moment to post his Ducane Model 4AC14 High Efficiency 14 SEER air conditioner price to our site and we appreciate it. We collect HVAC prices to pass along to our readers, so when you next make a heating and cooling purchase, we’d love to hear from you. Here’s what Garrett had to say. “We bought a cute little house here 4 years ago for a very reasonable price and invested some money in a new roof and the décor. The first winter we had to replace the furnace, which we expected, but decided to hold off on the central air conditioner. At that time, we chose a 90% efficient Ducane furnace for its reliability and affordability, knowing that we could add the a/c later and have a matched system. 3 ton Ducane 4AC14 central air conditioner, $1,587. I thought the installation price was high and felt like the dealer might be taking advantage of the situation because he knew I wanted a Ducane that was compatible with the furnace he had installed 3 years earlier. I offered him $2,800 for the whole job and he said he really couldn’t flex on it, so I told him I’d get back to him in a few days. I called a Ducane dealer in Hartford and asked him to come out and give me an estimate. His quote was for $3,000 even and when I offered him $2,800, he sharpened his pencil and countered with $2,900. I took him up on it and he installed the air conditioner a week later. Single-stage compressor with internal pressure valve and thermal protection. Top-grade condenser coil with louvered fin for more effective heat dissipation. Top-discharge won’t disperse hot air onto plants. Liquid line filter dryer included. Quiet performance assured with noise-reduction features throughout. Models available up to 5.0 ton capacity. 10-year limited warranty on all parts; extended warranty available to cover labor. When you buy a high-efficiency air conditioner, you want to get your money’s worth and save on your utility bills. 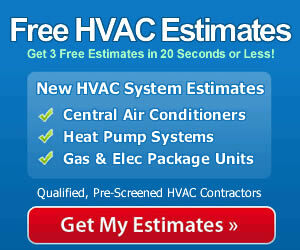 The best way to maximize your savings is to have a qualified contractor install your equipment. They have the training, the skill set and even the specialized tools that make it possible to install the air conditioner correctly and set it up to run with peak efficiency and excellent longevity. You’ll save money in the long-run by paying to have it done right now!